P6, M3, D2 - Factors that Contribute to an Effective Workplace - Preparing for Employment in Travel and Tourism BTEC Extended Diploma Level 3 Travel and Tourism - Unit 6 - Preparing for Employment in Travel and Tourism P6, M3, D2 - Distinction For P6, learners are required to explain the factors that contribute to an effective workplace. Evidence could be in the form of an article, report or presentation and should include an explanation of factors, including the full content detailed under working environment, working relationships, incentives and training. Links should be made to the travel and tourism sector, but this can be in general, rather than specific terms, for example relating teamwork to the role of cabin crew or holiday representatives, rather than named organisations. M3 follows on naturally from P6 with a review of how travel and tourism organisations motivate their staff in the workplace. At least two named organisations would be adequate for M3. Learners should choose organisations that give good scope for review. Finally for D2, learners must analyse the factors that contribute to an effective workplace. The relative importance of different factors should be explored and specific examples of good practice must be cited; this does not have to be restricted to the two organisations reviewed for M3 and could include topical initiatives and new approaches being trialled by organisations. The analysis could also consider how organisations successfully counter some of the issues relating to employment in the travel and tourism industry, for example long hours, poor pay and seasonality. Unit 12 - Responsible Tourism - Sustainable Strategies P3 M2 D2 Well written, Distinction worthy work P3 Examine strategies used to manage responsible tourism in destinations M2 Assess the effectiveness of strategies used to manage responsible tourism in a selected destination D2 Suggest improvements to strategies used to manage responsible tourism in a selected destination. P4, M2, D1 - Visitor Attractions BTEC Extended Diploma Level 3 Travel and Tourism - Unit 19 - UK Visitor Attractions P4, M2, D1 When looking at the importance of UK visitor attractions for P4, learners should comment generally on why attractions are important to tourism and may wish to use a number of examples in order to illustrate their points. Where examples are used to illustrate and support general explanations, they should be UK attractions and statistics and data must be provided to support the explanations. To achieve M2, learners should select two different visitor attractions at the same destination or in the same area and compare them in terms of their importance to the popularity and appeal of the destination or area. If appropriate, learners can use the same attractions as those for P1, P2 and P3. Statistics and illustrations must be provided to support the comparisons. For example, one attraction may be significantly more important because it attracts a higher number of visitors and has all-year-round appeal, whereas the other attraction has a smaller number of visitors and a shorter season. Visitors to one attraction may be predominantly school groups and UK families on day trips, whereas the other may attract overseas visitors who spend money on accommodation and in shops and restaurants in the area. The comparisons should cover most of the examples listed in the content under the sub-headings: importance and popularity and appeal. D1 is a progression from all the criteria for the unit, ie P1, P2, P3, P4, M1 and M2. Learners need to select a destination or an area that has either a significant visitor attraction or a number of visitor attractions – this can be the same destination as selected for M2 if appropriate. They are required to evaluate, by making judgements based on evidence, the contribution made by the visitor attraction/s to the popularity and appeal of the destination or area. An example could be Haworth, where the fame of the Bronte sisters has led many different types of visitors to the town in order to visit the parsonage where the sisters once lived, the church where they worshipped and the surrounding area where they gained inspiration for their novels. The popularity of Haworth has grown worldwide and impacted on the town and surrounding area and has led to various other enterprises, eg restaurants, hotels, guesthouses. This in turn has further increased its popularity with visitors. 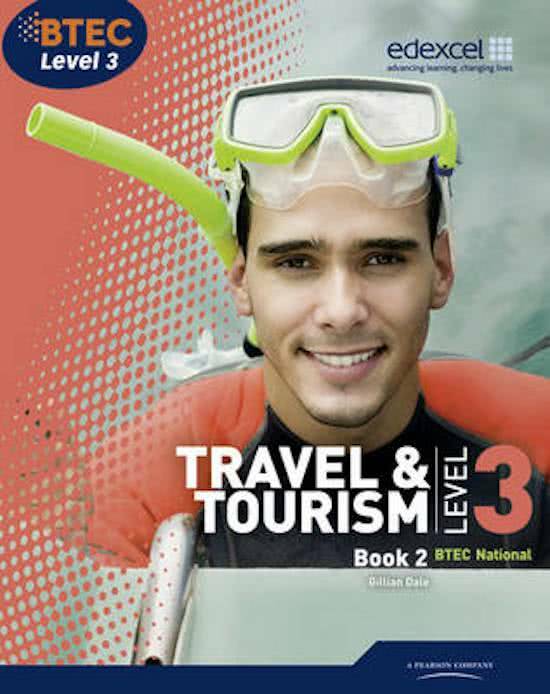 Learners should expand further on this analysis by identifying the different products and services and the interpretation techniques available and suitable for the wide range of UK and overseas visitors. Learners would need to support their findings and explanations with statistics, data and illustrations.